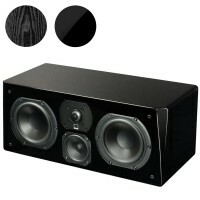 The Sherwood Teatro 4C Centre Speaker is designed to reproduce the full audio range, true to life imaging and bass. 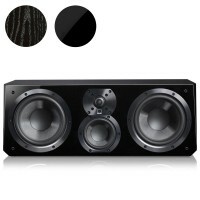 This centre speaker can be purchased individually or as part of the complete Sherwood Teatro 5.1 Home Theatre System. The SVS Prime Centre speaker is a true 3-way centre channel that delivers crystal clear and natural sounding dialogue and vocals with an expansive soundstage, stunning dynamics and excellent dispersion for a convincing home theatre surround sound experience. Reference 3-way Ultra Centre speaker anchors the front stage of a home theatre with stunning dynamics, massive soundstage and pristine clarity for unerring realism and dialogue intelligibility. 1" dome tweeter, 4" vertically aligned midrange driver and dual 6.5" woofers.